Inclusions: English/French/German/Spanish/Italian-speaking tour guide, pre-booked museum admissions with Skip-the-Line Entry and Early Access in summer. 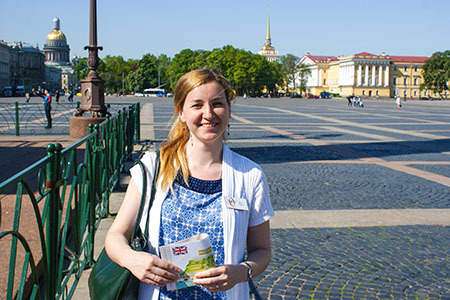 Clients meet their local guide at Palace Square, near the Alexander Column to enter the museum together. 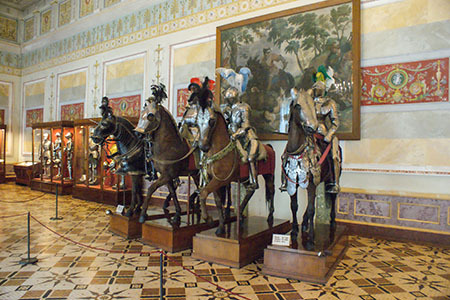 If you request transportation from your hotel to the museum, please contact us through the CONTACT US page. Tour availability: Any day except Monday. 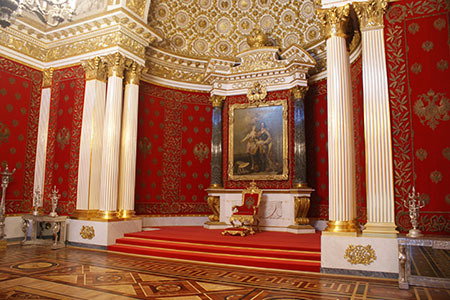 Hermitage tour is not available on January, 1 and May, 9. 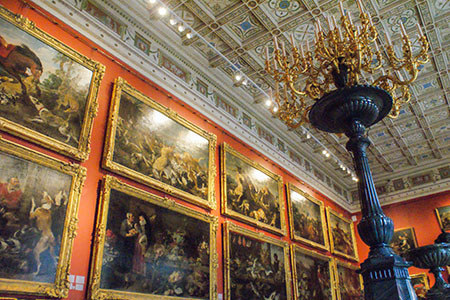 Most vistors coming to Saint Petersburg visit the Hermitage Museum, some do it twice or even more times. This incredible museum is known all across the world. 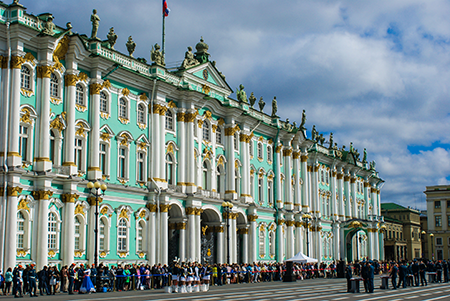 In 2013 and 2016 the Hermitage Museum was voted to be the best world art gallery by Trip Advisor users. 225 paintings that had been acquired by Catherine the Great in 1764 turned into a vast art collection that comprises now more than 3 million works of art and objects located in 5 principle central buildings. During the Hermitage Museum tour you will visit reception halls of the Winter Palace, which is a part of the Hermitage museum complex, and will view the highlights of the Western European art collection located in the buildings of the Small, Big and New Hermitage including Leonardo da Vinci, Titian, Rafael, Diego Velasquez, Michelangelo, Rembrandt, Rubens and many others. The collection of the Impressionists and post-Impressionists is located in the separate building and has another ticketed entrance. You can choose to add the Impressionists collection tour as an add-on tour to your Hermitage highlights one. We offer 2 museum tours a day: in the morning and the afternoon. The morning tour is run as «an early admission tour» which means customers get into the museum before it opens its doors to the general public. The afternoon tour is » a skip-the-line» tour with pre-booked admissions organized. Please note that the tour start time is not a time of museum entry which depends on museum availability. After the highlight tour is over, you can explore the museum at your own pace. Certainly a half day tour cannot cover even the smallest part of the Hermitage Museum collection. If you book a private tour with us, you will have a chance to choose collections and halls you would like to examine in more detail. The other popular add-on tour is a private tour of the museum Treasury or the Storage Centre (Secret Archives). All add-on bookings can be made together with the highlight tour booking. For cruise visitors we offer a visa-free tour option to join a regular group. It includes a port pick up and drop off and visa-free documents required. © Copyright “Marina Wilson Private Tours” 2019. All rights reserved.